This week, Comic-Con International 2014 invades San Diego for another year. So I thought it would be appropriate to take a look at a Best Picture nominee with roots in the world of comics. The Dark Knight was famously passed over but I thought perhaps something based on a graphic novel, like Road To Perdition or A History Of Violence, might have snuck in. Comics have grown up but with rare exceptions, the movies based upon them have not. For now, Hollywood seems content to milk the superhero genre for all its worth. Iron Man may boast Oscar-caliber visual effects but, as entertaining as it is, no one would take it seriously as a Best Picture candidate. The Dark Knight has come the closest, but even that was a flawed movie. Many felt it was unfairly overlooked at Oscar time but I think it received exactly what it deserved: lots of technical nominations and a posthumous salute to Heath Ledger. There’s no business like show business and of all the myriad branches of entertainment, none is as magical or inspiring as the motion picture industry. Don’t take my word for it. Just ask the people who work in the motion picture industry. Since the silent era, one of Hollywood’s primary missions has been the creation and promotion of its own self-aggrandizing myth. Hollywood loves to make movies about itself but just to prove they’re good sports, they’re willing to laugh at themselves, too. More often than not, this comes in the form of softball gags pushing the notion that all actresses are vain, all actors are a bit dim, producers and directors are locked in a constant battle over art and commerce, and writers are the overlooked underclass that everyone would prefer to forget. Feel free to have a laugh at these stereotypes but never forget that you’d do anything to be one of them yourself. Every so often, a truly great, audacious filmmaker will slip a knife into the hand that’s supposed to be patting Hollywood on its back. Arguably the greatest of these dark Hollywood movies is Billy Wilder’s 1950 classic Sunset Blvd., a film so far ahead of its time you may wonder how it got made in the first place. According to Mason Wiley and Damien Bona’s invaluable reference Inside Oscar, Wilder was Paramount’s golden boy. His work had been so successful that he was able to begin production without even turning in a script. At story conferences, Wilder told the Paramount brass that he was making a movie called A Can Of Beans and gave them phony plot points, all of which were complete fabrications. Once shooting began, Wilder would lock up the script in his office to make sure no one caught on. Finding the right cast also proved difficult. Today, it’s impossible to picture anyone as faded silent film star Norma Desmond other than Gloria Swanson. Try to imagine how different the film would have been with Wilder’s first choice, Mae West. West turned it down, claiming she was too young, and after considering such luminaries from the silent era as Mary Pickford and Pola Negri, Wilder found the perfect choice in Swanson. For Joe Gillis, the washed-up screenwriter who becomes Norma Desmond’s pet companion, Wilder originally cast Montgomery Clift. 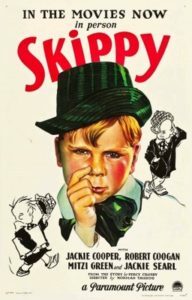 But the movie hit a bit close to home for Clift. At the time, he was in a relationship with an older woman, singer Libby Holman, who threatened to commit suicide if Clift did the picture. He dropped out and Wilder approached several other actors, including Fred MacMurray, before settling on William Holden. Holden wasn’t much more than a B-movie star at this point and Joe Gillis was an unlikely role to catapult anyone to stardom. But it was the beginning of a fruitful collaboration between Wilder and Holden, leading to other classics like Stalag 17 and Sabrina. It’s fair to say that Sunset Blvd. 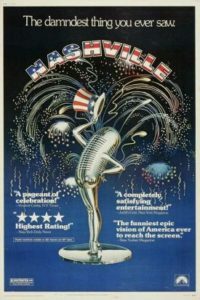 was one of the strangest films nominated for Best Picture up to this point. The movie exudes a weird menace from the moment Joe Gillis drives up to Norma Desmond’s eerie, dilapidated mansion. Joe is at first mistaken for an undertaker, scheduled to deliver a coffin for a recently deceased monkey. After Norma learns he’s a writer, she forces him to stick around and read the epically long script she’s written for her “return” (don’t call it a comeback), an overwrought adaptation of Salome. Desperate for cash, Joe agrees to help her edit the pages into something resembling a script. But little by little, he finds himself losing what few morals he had left and settles into a new role as a gigolo. Even by film noir standards, the characters in Sunset Blvd. are a dark and twisted lot. Norma Desmond is a recluse clinging to her past glory, unwilling or unable to believe that her beloved fans have abandoned her. Joe Gillis may have had a glimmer of talent at one time but it was snuffed out long ago by his pursuit of money. As Norma’s devoted butler Max, the great, embittered silent filmmaker Erich von Stroheim is lost in his own mad attempts at preserving Norma’s illusions. It’s not entirely surprising that von Stroheim always spoke derisively of the film, waving it off as “that butler role.” The casting is particularly poignant in a scene with Norma showing Joe one of her old films. The movie, projected by Max, is actually Queen Kelly starring Swanson and directed by von Stroheim. Despite receiving multiple nominations, the odds of Sunset Blvd. actually winning the Best Picture Oscar were always fairly remote. The film was greeted enthusiastically by critics but Wilder’s dark indictment of Hollywood infuriated many within the industry itself. Mogul Louis B. Mayer went so far as to demand that Wilder be “tarred and feathered and run out of Hollywood.” Sure enough, the big prize went to a slightly more veiled backstage drama, All About Eve, while Swanson lost out to newcomer Judy Holliday for Born Yesterday. Still, the movie did pick up a few justly earned trophies. Wilder and his longtime collaborator Charles Brackett shared the writing award with D.M. Marshman, Jr. Franz Waxman’s sweeping gothic noir score nabbed a music award, while the team responsible for the look of Norma Desmond’s cluttered mansion won the Art Direction/Set Decoration award. It’s worth pointing out that at this time, the awards for technical and design awards like cinematography were divided into two categories: black-and-white and color. The categories would keep the distinction alive until 1957. 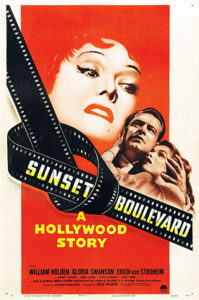 More than sixty years after its release, Sunset Blvd. 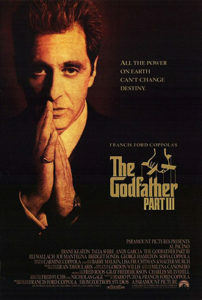 remains one of the most indelible and timeless films ever nominated for Best Picture. It’s very much a movie of its time, perfectly capturing the state of the film industry in 1950, and yet nothing about it feels dated. It’s a breathtaking example of what a great filmmaker can do when given absolute creative freedom and doesn’t give a damn about the consequences. Sunset Blvd. is available on Blu-ray and DVD from Paramount Home Entertainment.